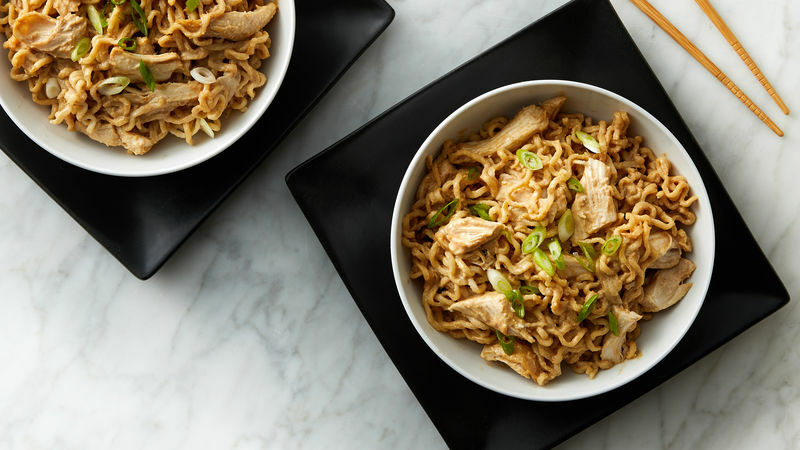 Boil the noodles and seasoning mix according to package directions. Drain pasta but reserve 1/3 cup pasta water. 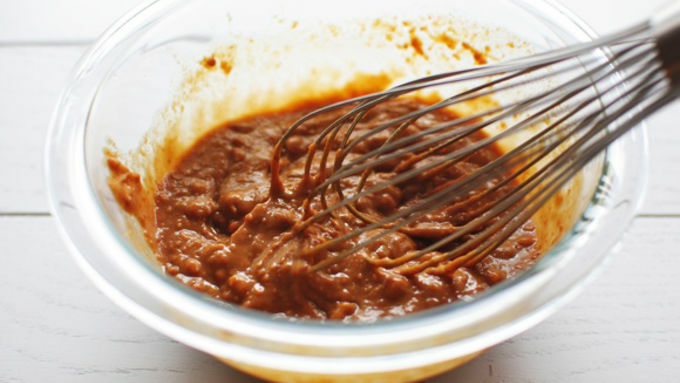 In a small bowl, whisk together the peanut butter and soy sauce. Add a couple tablespoons of water to thin it out if needed. 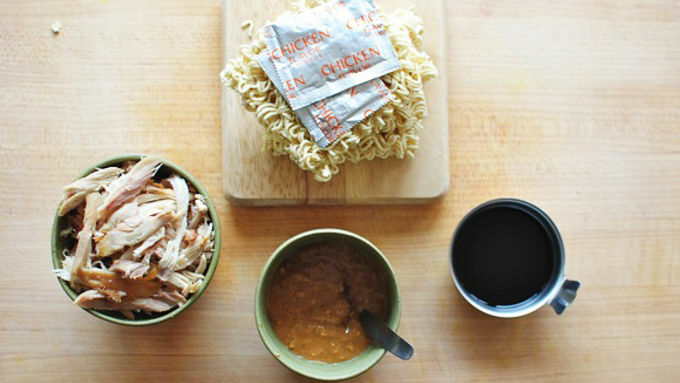 Add the peanut butter mixture and chicken to the noodles. Toss to combine. Add as much pasta water as needed to thin the sauce. Serve as is, or garnished with sliced scallions. This recipe uses crunchy peanut butter, but you're more than welcome to use whatever kind of peanut butter you like. Just add a smidge of water if it needs thinning. Add the chicken and peanut butter mixture. Toss it all together and if it needs more thinning, go ahead and stir a little saved pasta water in there. 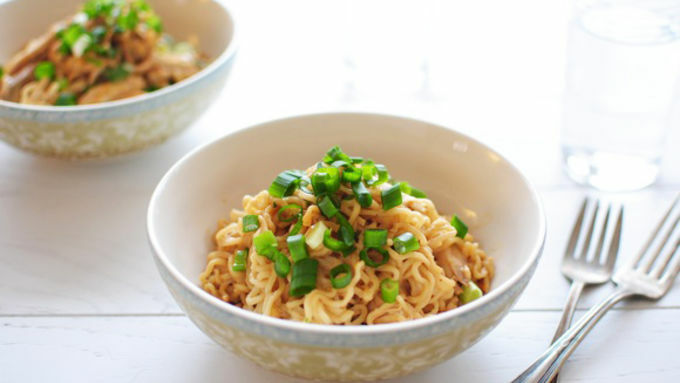 Totally optional here, but feel free to toss in some scallions for something green and gorgeous in it! 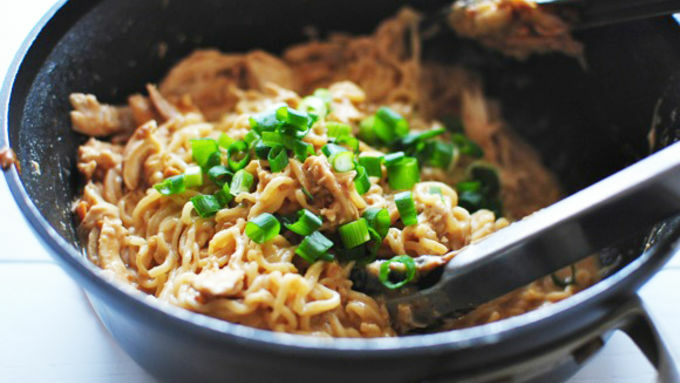 This easy 4 ingredient Peanut Chicken Ramen proves that ramen's not just for college any more.